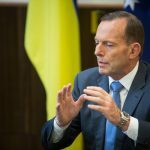 In the wake of terrorist attacks such as the Sydney siege and the Charlie Hebdo shootings, national leaders have proposed various means of dealing with those who are suspected of terrorism. While criminal law imposes heavy penalties for terrorism, politicians are also looking to immigration law to deal with terrorism suspects. And lately, it seems that Australia is looking to its British roots for further guidance. In May last year, the British government passed tough new immigration laws allowing the home secretary to revoke a person’s citizenship in certain cases. The power may be exercised where the home secretary is convinced that removing a person’s citizenship is in the public interest. Previously, British law said that a person cannot be ‘stateless’ – in other words, a person cannot have their British citizenship revoked if they do not hold citizenship in another country. British law says that it is not necessary for a person to be charged with a criminal offence in order to have their citizenship revoked. Essentially, the only factor which must be proved is that the person in question poses a threat to the country. Similar laws exist in other countries, including Canada and France. And it seems that Australia is following in the footsteps of these countries, with Tony Abbott suggesting that we may soon enact similar laws. He specifically pointed to Man Haron Monis, the perpetrator of last year’s siege, as a person who was not effectively dealt with under the law. The immigration minister currently has the power to revoke a person’s citizenship where they have been charged with a serious criminal offence and there is reason to believe that it would be in the public interest to revoke their citizenship. However, this power is subject to certain exceptions. For instance, a person who is an Australian citizen by birth cannot have their citizenship revoked. 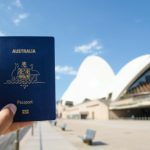 This means that only those who ‘inherit’ citizenship through a parent or spouse, or those who migrate to Australia and adopt citizenship, can have their passports cancelled. Also, the minister can only revoke a person’s citizenship where the offence in question was committed before that person became an Australian citizen. 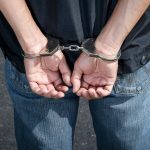 If a person commits an offence after they become a citizen, they must be dealt with under the Australian criminal law. This significantly limits the circumstances where the power may be exercised. For instance, under existing laws, the citizenship of Man Haron Monis could not have been revoked as he committed offences after he was granted Australian citizenship. Monis became an Australian citizen in 2001 after being granted political asylum by the Australian government. A third limitation on the minister’s power is the prohibition on statelessness. This means that a person’s citizenship can only be revoked if they are also a citizen of another country. However, all this may be set to change next week when the Prime Minister Tony Abbott unveils new immigration laws. 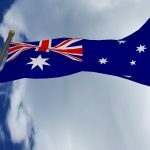 Liberal MPs have indicated that the new laws may follow the UK approach; enabling the minister to revoke the citizenship of those born on Australian soil. It also appears that the new laws might circumvent existing limitations on ‘statelessness,’ enabling the minister to revoke a person’s citizenship even when that person is not a citizen of another country. 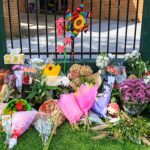 With Australia still reeling in the wake of the Sydney siege – and many terrified of the prospect that further terrorist attacks could follow – the new laws may be welcomed by many, or even most, Australians. But others have expressed concerns at the damage that these new laws may cause. Opponents include shadow Attorney-General Mark Dreyfus, who recently cautioned against Australia becoming an ‘exporter of terrorism’ and argued that Australia should deal with its own citizens rather than simply revoking their citizenship. In other words, by stripping suspected terrorists of their citizenships, we are simply palming them off to another country, where they may wreak havoc and endanger the lives of others. Dreyfus has also suggested that security agencies such as ASIO and the AFP already have enough power to monitor citizens and prevent an imminent terrorist attack. Human rights advocates say that stripping a person of their citizenship and effectively making them stateless causes a range of problems. A person’s citizenship is the source of many of their legal rights and gives them the ability to travel, obtain identification documentation, and so on. Taking away those rights puts these people in a kind of ‘legal limbo’ and may expose them to incarceration or even torture abroad, with little legal recourse. 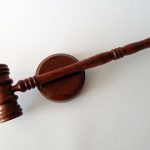 It is also important to bear in mind that it is likely that the power could be exercised even if a suspect is not convicted of any crime at all – which undermines the presumption of innocence – which says that a person should be presumed innocent until proven guilty. One also has to consider the impact of such laws on Australia’s relations with the wider Muslim community. The government has already been criticised for its new anti-terror legislation, and has come under fire from the Muslim community for pursuing an ‘anti-Islam’ agenda. The proposed immigration laws, which will almost certainly target Muslims, could have the potential to further damage ties within the Australian-Muslim community at a time when unity and collaboration is most needed.